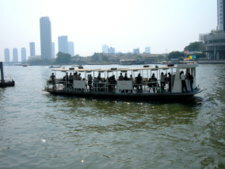 The Chao Phraya River boats provide regular, tourist, express and charter boat services for a leisurely river cruise or to stop and see places of historical interest along the way. 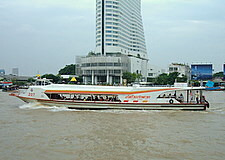 Here are the various types of boats services available on the Chao Phraya River. 0620 – 0805 and 1500 - 1730 hours every 20 minutes. Fare based on distance at 10/12/14 baht. This is the most convenient service for those who like to plan their own destinations and travel at their own time. 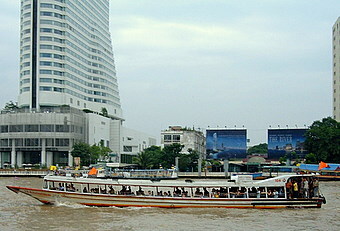 Chao Phraya tourist boats ply everyday from 0930 – 1600 hours, departing every 30 minutes, from Sathorn to nine other piers near major tourist attractions. 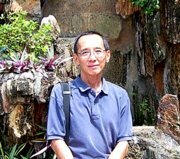 Day passes at 150 baht each are good value for unlimited trips for the day. 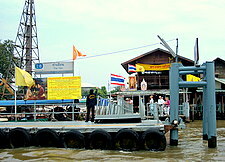 To get to the Sathorn Pier, take the Bangkok skytrain to the Taksin Bridge station. The yellow flag express boats run only during peak hours in the mornings and evenings at selected piers primarily for workers and students. Not too convenient for first-timers, though seasoned visitors might find it useful. If it suits your travel plans, here it is. Boats are available for rent for groups of 20 – 120. Prices range from 2,000 – 5,000 baht per hour depending on the type of boat. More details are at the Chao Phraya Express Boat booth at Sathorn Pier. 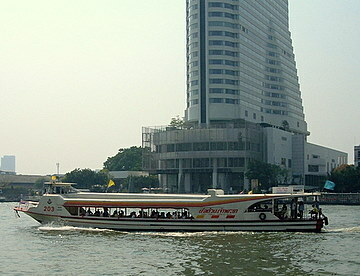 Choose the boat service that suits your travel needs for an enjoyable river cruise and tour of the Chao Phraya River.